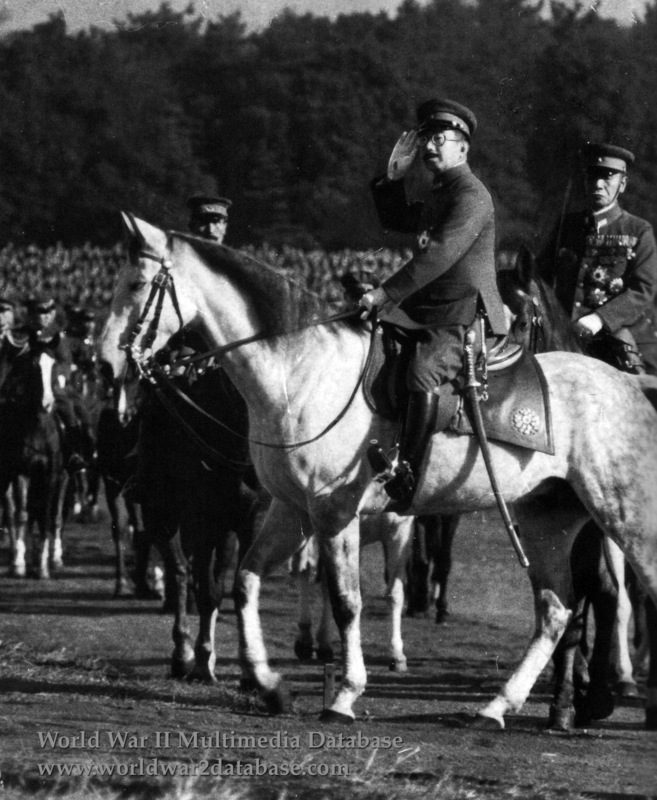 Emperor Hirohito reviews the Imperial Guards Division during the November 1942 maneuvers of the Imperial Japanese Army. These eight days of training prepared the Army for the possibility of invasion of the Home Islands. Hirohito's brothers Prince Takamatsu and Mikasa are also in review. The Emperor always rode white horses during public appearances.